Fellow youth workers and church leaders, I would like to ask you a serious question – and, please make an honest evaluation of your ministry. 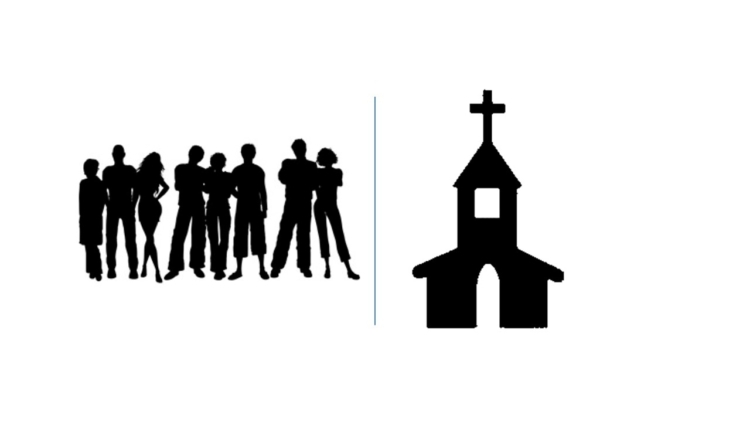 Are your teenagers more loyal to your youth ministry than they are to the church as a whole? If they are, it’s no wonder so many teenagers quit participating in church following their days in youth group. Let’s remember that youth ministry was never designed as a terminal program – with a specific ending point for the students to be finished and then walk away. Teach them the importance of God’s church. Loyalty begins with an understanding of what church is all about. Develop a series of lessons on the church. Perhaps you could take them through Acts, the Epistles, and even the 7 churches in Revelation to give them exposure to what the Bible says about the church. Talk to them about basic ecclesiology and your church polity. There are lots of materials out there to help you with this, but if you feel uncomfortable doing this series yourself, I’m sure your lead pastor could offer some suggestions or resource material to help you. Provide opportunities for them to serve in the church. Loyalty also comes through what some would call “sweat equity”. Give your students practical opportunities to get involved in your church’s ministries and programs – and give them practical ways to use their God-given spiritual gifts. Provide ways for them to serve alongside adults and motivate them to get involved in work projects around the church. People are much more likely to continue in church if they have been actively involved themselves. Motivate them to give financially to the church. I encourage all youth workers to teach their students to give financially to the church. The majority of today’s teens have their own money. Their parents must be involved, of course, but teach them the discipline of giving financially to the Lord and to His church. It’s hard to walk away from something after giving financially to it. Expose them to church business and key church leaders. I also believe it is a wise move to give teenagers some basic instruction on how their church works. Why do you have communion? Why do you baptize people? What is the purpose of church business meetings? These are vital questions and your kids should know the answers. It is also a good idea to give your students some exposure to the key leaders in your church – and that starts with the lead pastor / senior pastor. Don’t forget he’s their pastor, too. I encourage youth workers to invite deacons and other church leaders to share their story or testimony to students. Maybe our kids are leaving the church because they really don’t understand it. These 5 things are just recommendations, but I think they are very practical and workable in a church situation – and I think these strategy suggestions will help build loyalty to the entire church instead of just the youth program. May the Lord bless you as you seek to implement these concepts into the fabric of your church! Youth room. Church kids. Snacks. Games. Praise band. Youth speaker. Small groups. How long has church youth ministry looked this way in America? I am 41-years-old and it’s been this way since I was in youth group… and possibly before. I was in youth group in the 90’s, specifically from 1990-1996. I have also traveled extensively and observed many American, church youth groups since graduating from Bible college, and almost everyone has looked almost exactly like mine did. If your church youth ministry still looks like this, should it? Are you content with where it is currently, or do you dream of and pray for more? Many, if not most, church youth ministries right now are in decline. A good number of churches have even decided against paying a full-time youth director. Middle school ministries are doing better, but high schoolers are checking out due to busyness and simply feeling too old for youth group. Would you like to experience growth, both numerical and spiritual? Reach your community? See students embrace real, radical relationships with Christ? Watch them become disciple makers and world changers for Christ? DETERMINE WHO YOUR YOUTH MINISTRY IS ABOUT. Who is your desired target audience? Is it ONLY “church kids,” or would you like to see your youth ministry reach outside of the walls of the church into the community? My guess is that you would love to impact more than just the kids who attend your church. If not, this article might not be for you, because you might be more content than you realized with the state of your current ministry. FORMULATE A PLAN TO REACH YOUR TARGET AUDIENCE. (Step one might require talking with your church leadership and casting your vision. Based on how that conversation goes, step two might require a great deal of prayer and fasting for a shared unity of vision, or even a re-location to a church that shares your vision. Radical action is usually necessary and worthwhile in order to bring about great impact and change!) If your desire is for your youth ministry to transform your community, you’re thinking BIG and I applaud you, but you have to have a plan! Sit down with your youth leaders and/or student leaders and create a MIND MAP (https://www.wikihow.com/Make-a-Mind-Map). Use this exercise to determine your next steps. LET YOUR LIGHT SHINE IN YOUR COMMUNITY. It’s likely that you have already planned outreach or evangelistic events (ie. a Super Bowl party) in hopes of attracting students in your community, only to be disappointed with the end result. Students who have yet to embark on a relationship with Christ, will likely not join a church youth group which feels like a members-only, or elitist Christian club. It is much more effective to go to them! Find out the needs of the students in your community. Ask your local high school principal, letting him or her know that you are willing to help in any way. Perhaps there is a need for tutoring, volunteers for extra-curricular activities, help with repairs and renovations, etc. Start small and continue to ask for ways to help. “You are the light of the world. A city set on a hill cannot be hidden. Nor do people light a lamp and put it under a basket, but on a stand, and it gives light to all in the house. In the same way, let your light shine before others, so that they may see your good works and give glory to your Father who is in heaven” (Matt. 5:14-16, ESV). DARE TO LEAVE THE YOUTH ROOM. From where do you want the growth to come? If you’re dreaming of reaching your community or local high school students, you need to GO to them. The Great Commission (Matt. 28:19-20) commands us to GO in order to reach people: “Therefore go and make disciples…” A city on a hill does not hide!Dare to leave the youth room. Take your existing students and GO somewhere. Be strategic. Go where the needs are. Go let your light shine before men! A church in northeastern Pennsylvania skips church all together one Sunday every year to spend the day instead serving their community. Take your cues from the high school principal, teacher, coach, PTA president, social worker, etc. and GO reach your community . . . WITH your students! Make this a regular activity on your youth calendar! 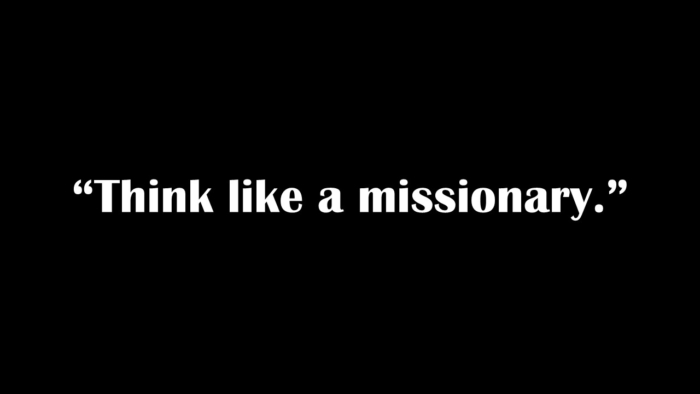 THINK LIKE A MISSIONARY. Your church may be your job, but your community is your mission/harvest field. Make your community a higher priority than it’s ever been before. Almost weekly in the news we are hearing devastating accounts of students being bullied, committing suicide, or shooting their teachers and classmates. The local public schools need you. They need your youth ministry. Most of all, they need the hope and light of the Gospel. Take it to them! Don’t expect them to come and get it. Go and make disciples. Do this and your youth ministry will become that “city on a hill” transforming darkness into light! Protective – Undoubtedly, you’ve heard the phrase “Helicopter Parents” – those parents who “hover over their kids” and are overly-protective of them. A recent survey reported that freshmen in college sometimes send and receive 11 text messages a day from their parents – and those were college students! 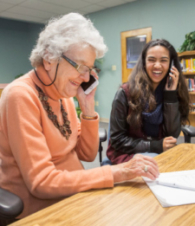 We noticed during our summer youth missions trips that many of the participating teens used their cell phones to call their parents almost every hour. It’s true; we are ministering to a generation of hovering parents. My advice is to use this as an advantage and take every opportunity you can to communicate clearly and carefully to the parents of the teens involved in your ministry. Afraid – Some parents are afraid, and they worry about the negative influences facing their kids. These parents look at their kids’ peers as potentially harmful and manipulative. They also tend to see even the church youth ministry as a problem. The roots to this particular approach are often deeper than just surface negativity. There are some parents who seem to be pessimistic and critical about almost everything. Probably the best thing you can do to help these parents is to keep communicating to them the positive virtues and characteristics of the church and youth ministry. Proud – Akin to the last approach is something I’ve seen growing over the past few years of my ministry. There are some parents who are so proud and arrogant that they feel as if they are the only ones who can have a positive influence in the lives of their kids. I’ve met some parents of teenagers who will not allow their kids to attend youth group or other youth ministry functions because they see those ministries as a problem. This group of parents looks at other Christian youth and even church youth workers as part of the problem, so they do everything they can to keep their kids with them in everything – including school and church activities. Again, I believe that communication is the key to ministering to this group of parents. Show them Biblical examples of the church in action and help them see the advantages of building other Godly people into the lives of their children. Idealistic – Some other parents are quite idealistic. They think that everything will turn out okay in the end, so why worry about anything. These parents are often somewhat permissive and lenient with their kids. Plus, this group will often prove to be materialistic in getting their kids anything they want. I suspect that in most cases, their motives are good. They want their kids to grow up to be positive and constructive citizens; it’s just that they try to smooth out all the feathers for their kids along the way. I have found that this group of parents may respond well if they see the positive aspects of youth ministry that includes actively serving the Lord and motivating students to enthusiastically share their faith. Engaged – Praise the Lord for active, engaged parents. These are the parents who stay involved in the lives of their kids as they mature through adolescence and they are the ones who value the church’s youth ministry and realize how important it is for the family and the church to work together to help kids grow in Christ and go on for Him as adults. This is the group of parents you should try to recruit to be a part of your team of youth workers. They will have a positive influence on their own kids and will often help minister to other teens as well. Praise God for engaged parents of teenagers! The first was my Sunday School teacher when I was in 6th through 8th grade. I thought he was way too strict, too conservative, and way too quirky to work with students. I hate to admit it now, but I’d complain about him to my Dad. Come to find out, he was also my Dad’s Sunday School teacher when he was that age. This faithful leader served the junior higher youth group in my home church for over 30 years! He’s in Heaven now, but you’ll meet him there someday. He’ll be in the front row – after working with early adolescents for that long (with guys like me in his group), he deserves to be the front row! The second was a youth worker that I’ve known for over 40 years. He served for almost 25 years as a youth pastor in two local churches and coached in public high schools for over 20 years. He still leads an international youth ministry organization and he travels to speak to hundreds of kids each year in camps, retreats, and other youth events. The bottom line is that he’s a youth worker, and I can’t picture him doing anything else. I’ve told churches for years that people may get too old to play tackle football (I would probably fall on you and crush you), but you never get too old to minister to kids! So, what are the keys to longevity in student ministry? What has God called, gifted, and equipped you to do? It’s really quite simple, if God has blessed you with the ability to work with students – then do it, and keep doing it. Honestly, why would you stoop to do anything else? Do you love students? If the Lord has put a burden on your heart for middle schoolers, high schoolers, or even young adults, then I believe that you’ll do anything you can to spend time with them and their families in an attempt to reach them for Christ and to help them to go on for Him. It’s not just a cliché, youth workers keep working with youth. Are you willing to be a servant? Let’s face it, sometimes ministry is hard – and it takes faithfulness over the long haul. Kids need adults to be faithful – to be the kind of people they can depend upon. You may want to resign every Monday morning, but don’t do it! 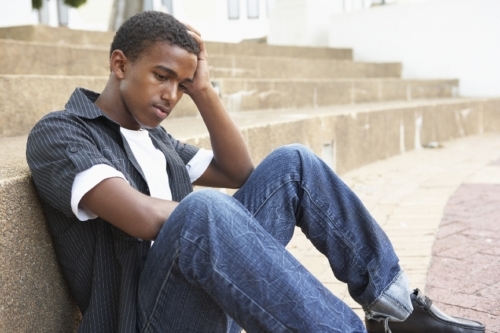 Teenagers need loving, caring, and faithful adults to be an ongoing part of their lives. How can you make the greatest impact for eternity? Reproducing yourself in the lives of the next generation may be the most important characteristic of a true leader. As I write this post, I am reminded that there is one real advantage to getting old in youth ministry. You stay around enough to see the students that you invested your life in grow up and go on for God.